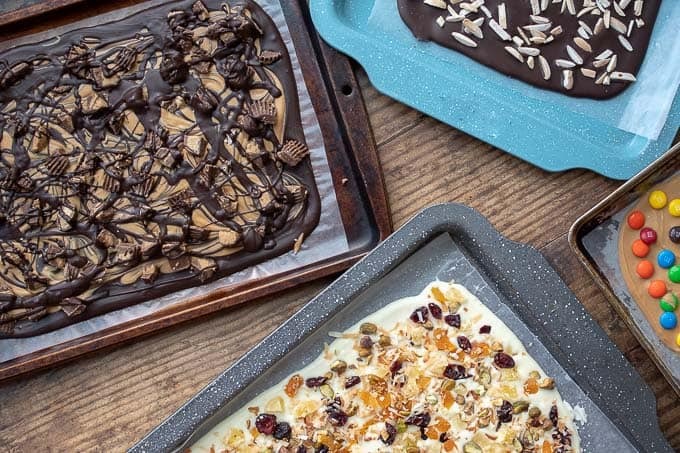 Chocolate Bark | Everything You Need To Know! 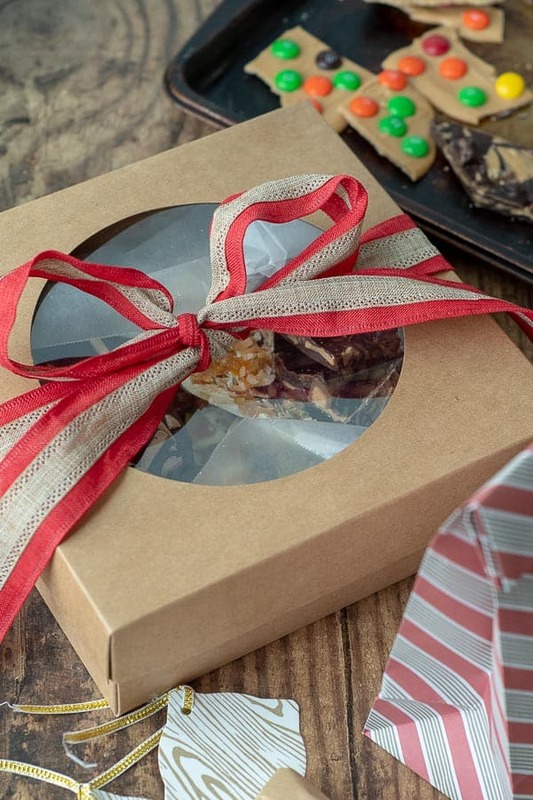 Learn how to make the absolutely amazing gourmet chocolate bark this holiday season! 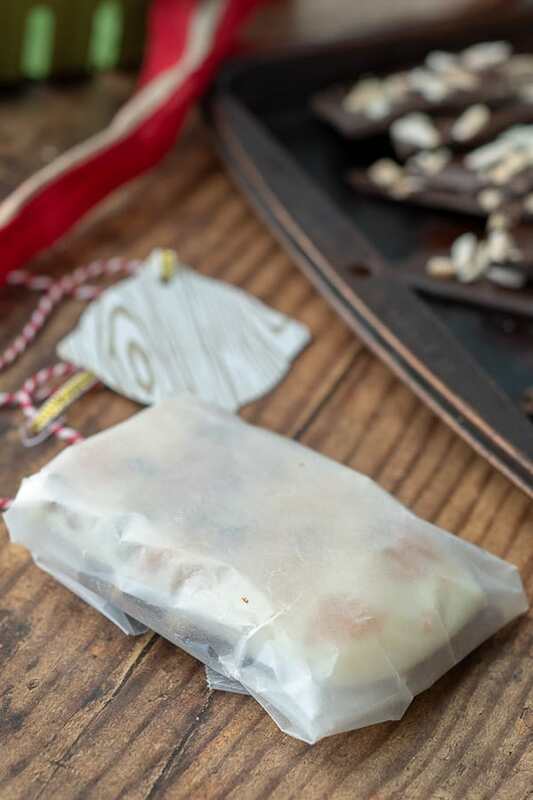 This Chocolate Bark recipe has everything you need to know about making white and dark chocolate bark with tons of tips, tricks, and problems solved. 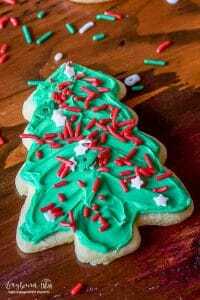 Homemade Chocolate Bark makes the perfect Christmas and holiday recipe because it’s easy, versatile, and perfect for homemade gifts. 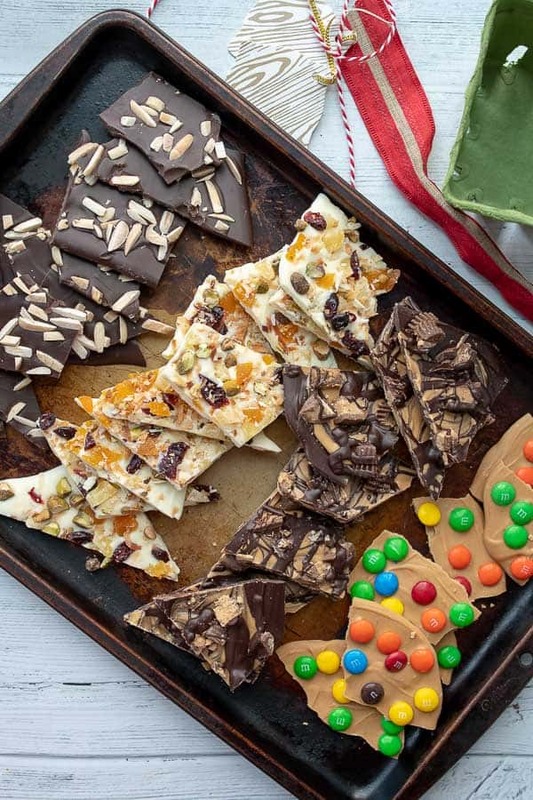 There are endless variations, toppings, and flavors of chocolate bark candy recipes. However, a lot of recipes use vague instructions and leave a lot of questions unanswered. Through research and experimenting myself, I’ve found even a simple chocolate bark recipe needs clarification. Below are some of the most commonly researched topics. If you have a question not covered, leave me a comment at the end of the post, and I will be happy to help! 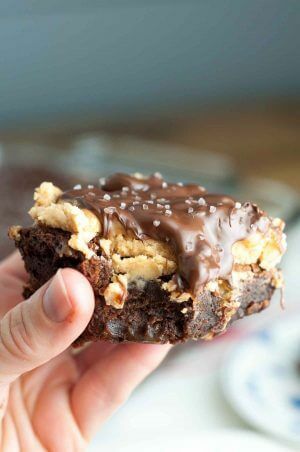 What is the best kind of chocolate to use for bark? This question causes the largest discrepancy. 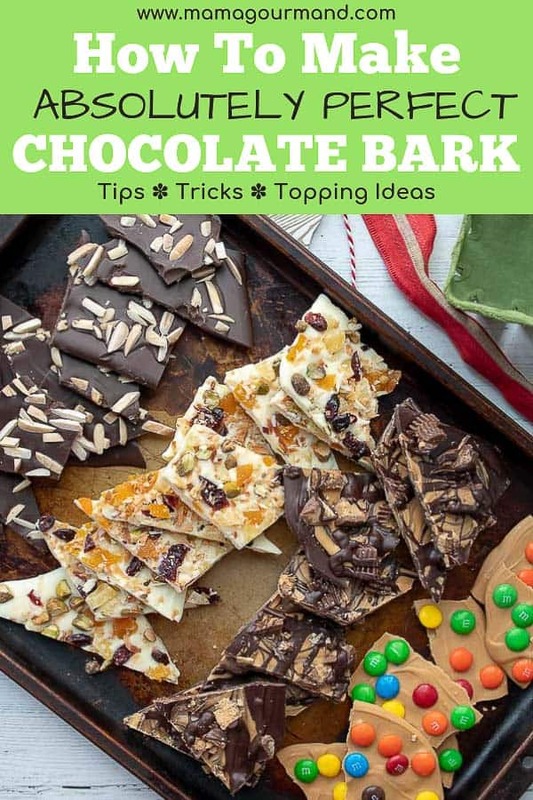 Many recipes on Pinterest and Google use regular chocolate chips as the primary ingredient, but this is a misguidance for good chocolate bark. Although chocolate chips are affordable and readily available, using chocolate chips can be problematic because of the additives. They are manufactured to hold their shape, so they aren’t ideal for melting chocolates. High quality chocolate bars are free of the additives chocolate chips have. Chocolatiers and gourmet recipes call for high-quality chocolate bars, but fail to name brands or where to locate this superior chocolate. Although I’m certain expensive chocolate bars would yield some great results, I find it a little unreasonable. A large selling point of making homemade gifts is frugality, and high-quality chocolate is extremely pricey! I’ve found a happy medium between these two options. Using quality chocolate chips with a higher percentage of cocoa makes fantastic chocolate bark, but is still affordable and available at local grocery stores. Don’t let the fancy terms such as “temper” be discouraging. 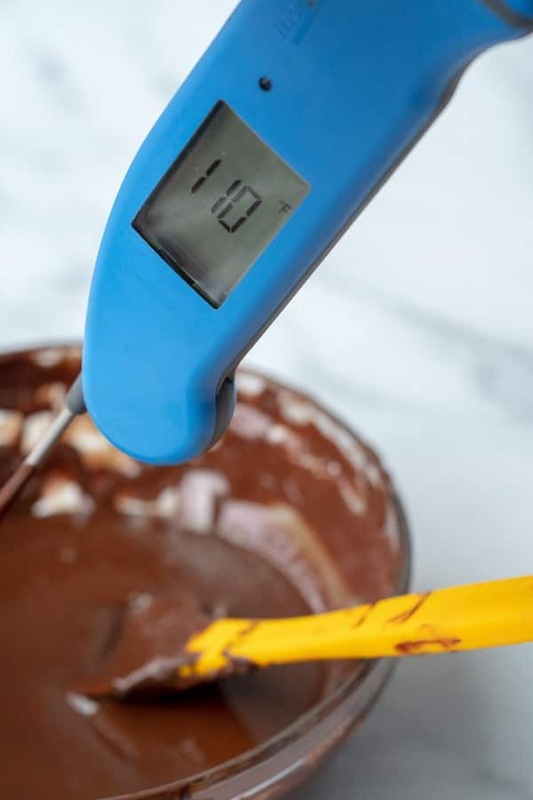 Tempering chocolate means melting chocolate to a temperature that breaks down the crystals in the cocoa butter. Although it may sound intimidating, it can actually easily be done in your microwave. The benefit of tempering chocolate for bark is to give it shiny, glossy sheen. Chocolate that isn’t melted properly will be dull looking, streaky, or grainy. It will also be firm, break off with a snap, and hold it’s shape. Place 2/3 chocolate in a microwave safe bowl. Add the remaining 1/3 chocolate and stir to combine and melt. Continue to stir until all the chocolate is melted, smooth, and glossy. Don’t be tempted to put it back in the microwave to finish melting the added chips. Let it sit a minute and stir again. It will eventually melt from the residual heat. Chop chocolate bars in fine pieces so it melts quickly. Place 2/3 of chopped chocolate in a double broiler. Make sure the water underneath isn’t boiling, just simmering gently. The water level shouldn’t be directly touching the top portion of the double broiler. Remove the top portion of the double broiler with melted chocolate from the heat. Add the remaining 1/3 chopped chocolate to the the melted chocolate. Stir until remaining chocolate is melted. It will eventually melt from the residual heat. 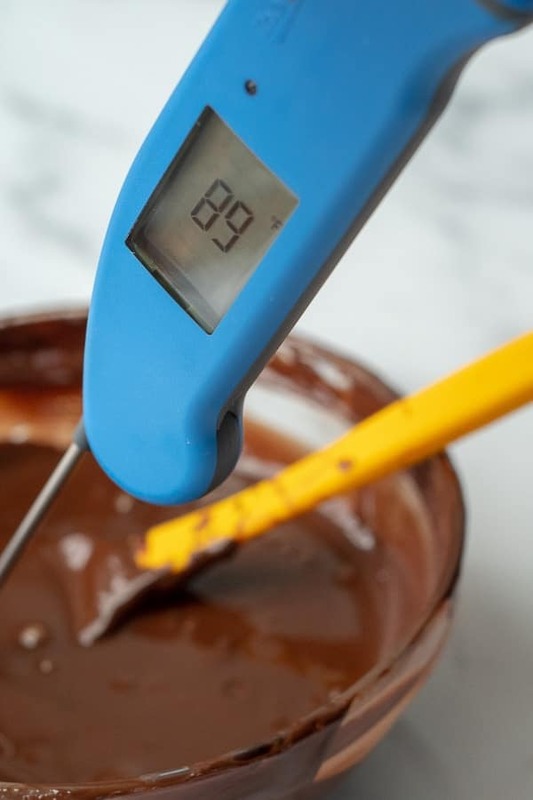 Ideally tempered chocolate should read a temperature of 88°F- 90°F. Why is My Chocolate Bark Soft? First of all, don’t add anything to the chocolate, such as oil or shortening. This makes the chocolate structure too malleable for bark. If nothing extra was added to the melting chocolate, and it’s still soft, then perhaps the chocolate wasn’t heated to a high enough temperature to temper, or break down the crystals in the chocolate. The bark is still salvageable, though. Simply store in an airtight container in the refrigerator until ready to serve. Once the chocolate is set completely and broke into pieces, store in an airtight container in a cool, dry place, ideally less than 70ºF. Properly tempered chocolate will keep for several weeks and doesn’t need to be refrigerated. If you have to store it in the refrigerator, make sure it’s in an airtight container to prevent moisture, smells, or condensation spoiling the chocolate. Candy Gift Boxes – I love these traditional ones because they can be used for multiple occasions. 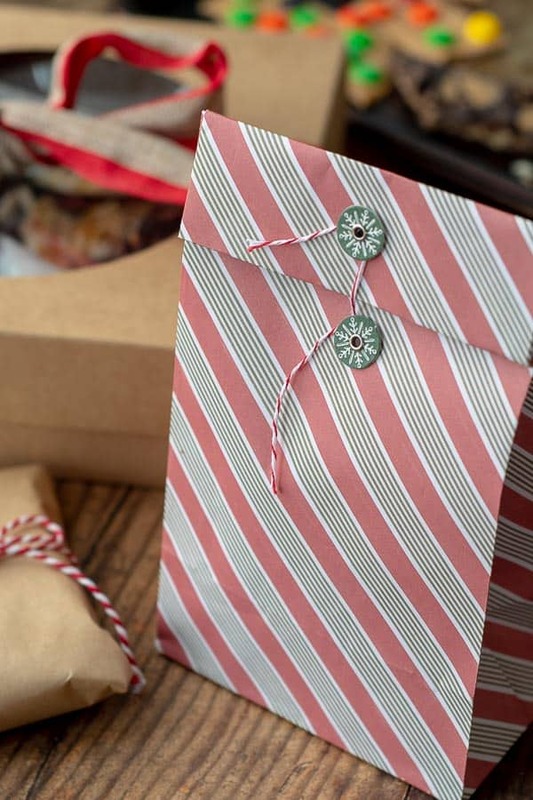 Wrap the box in ribbon coordinating with the season. 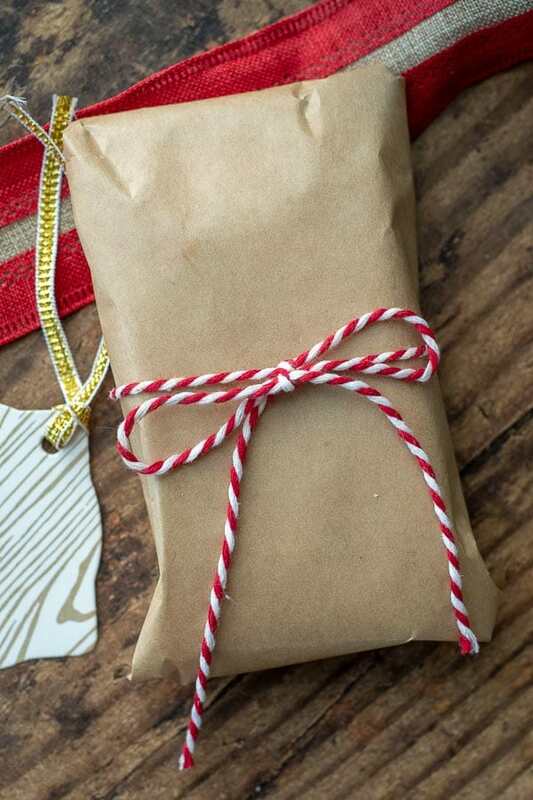 Don’t forget a cute gift tag explaining the different types of bark and storing instructions. Candy Tins – These reusable ones are perfect for storing the bark in too. There’s also a variety of disposable ones. Be sure to include storing instructions. Candy Bags – Like the candy gift boxes and disposable candy tins, include a festive gift tag with storing instructions. 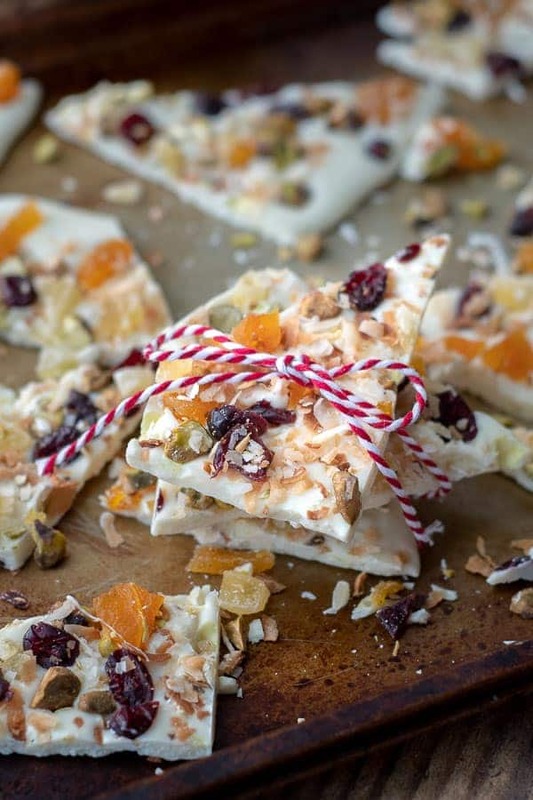 Wrap as a candy bar – Cut the chocolate bark in large squares and wrap in a piece of wax paper. 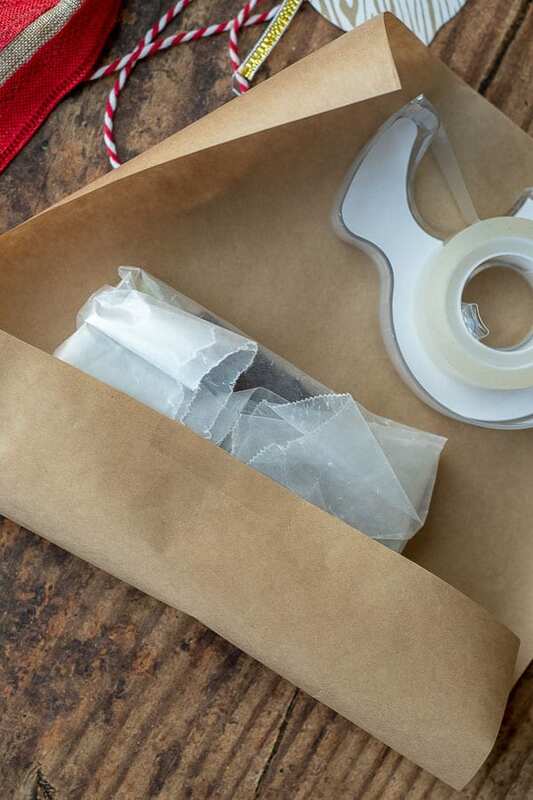 Then wrap plain brown paper or Christmas wrapping paper around the wax paper. Secure with tape and finish with ribbon and gift tag. 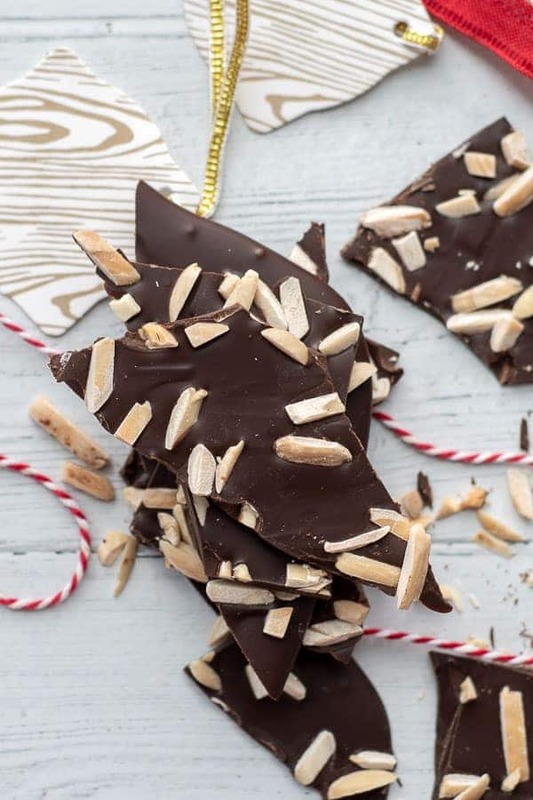 SAVE THIS CHOCOLATE BARK RECIPE TO YOUR HOLIDAY BOARD! 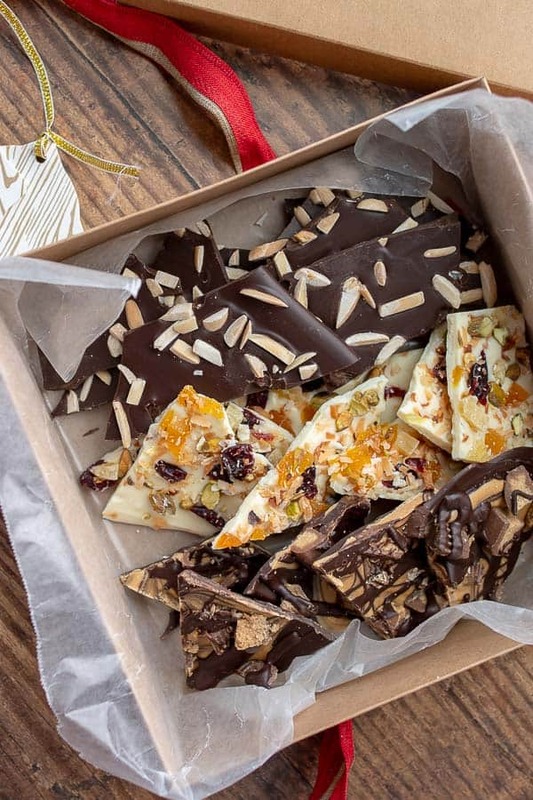 Easy and gourmet chocolate bark recipe has everything you need to know to make the best white and dark choclate bark with tons of tips and tricks. Pour melted chocolate on prepared baking sheet. 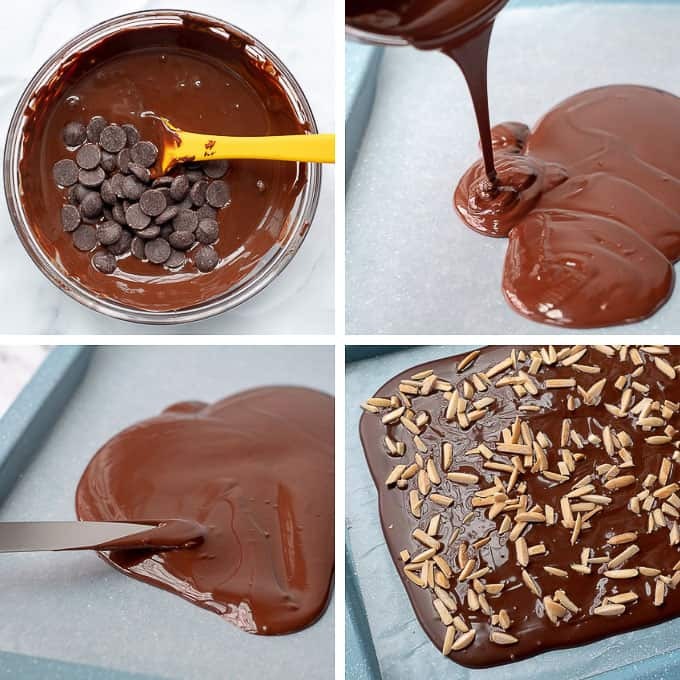 Use an offset spatula to spread chocolate to about 1/4" thick. Immediately sprinkle on desired toppings. Allow chocolate to set and harden on counter. Do not break into pieces until chocolate is completely set, about 2-3 hours. I make a “kosher for Passover” chocolate bark that is a big hit but I have some issues with the chocolate. It’s essentially a sheet of matzoh covered with melted toffee (melted on stove top, then poured over matzoh and put in the oven for 15 mins). Once out of the oven, I sprinkle a bag of chocolate chips over it and let the heat of the toffee-covered matzoh melt it. I spread the melted chocolate to cover the toffee, then sprinkle with sea salt and refrigerate. The issue is that once I take the broken bark out of the refrigerator to put out for dessert, once room temperature the chocolate softens – it won’t stay hard. So how do I get the chocolate to stay hardened at room temperature? – Should I let the toffee-covered matzoh cool to room temperature first and then spread the tempered chocolate on it? – After I know how to spread the chocolate on top correctly, do I let it come to room temperature on its own or put it in the refrigerator? Hi, Thanks for writing I’d be happy troubleshoot this with you. I’ve run into this problem before when making toffee. 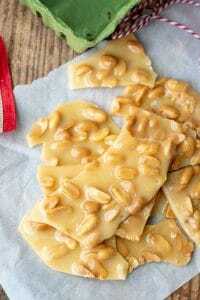 It uses the same method with chocolate chips but on hot toffee to melt. My chocolate would always bloom or separate cleanly off from the toffee when I tried to break it apart. This past year I did it differently using the tempering chocolate method. Like you said, make the first layer, temper the chocolate, and then spread on top. It worked great and the my toffee didn’t bloom at all. So yes, I would cool down the toffee first. It doesn’t have to be completely room temperature, but no higher than the temp of the chocolate (90 degrees). If you have properly tempered chocolate you can completely skip the refrigeration step. Once everything cools down the chocolate should break cleanly and not be soft. I would let it sit for a few hours, though, before breaking. As far as the chocolate, it doesn’t have to be expensive. To be honest, I primarily just use the ghirardelli chocolate chips (listed in post), which are slightly more expensive than regular chocolate chips. I’ve also used Trader Joe’s big chocolate bars, but those might only be sold around the holidays. The bark was a hit this season!!! I ate way too much if it myself, but hey. Thanks for all the great tips! Thanks Sarah! I can say it was hit this way too. I probably ate my weight in it around the holidays. All of these are great! I’m going to try the white chocolate one first! This is the only way I love white chocolate. Otherwise I’m not a fan, but with the nuts and fruits…Yum!! This is the best resource I’ve ever seen for bark and all that goes into it. I learned a ton reading through this post. Thank you for this! I’ll be referencing it again and again!